Ensure your antique rug lasts the test of time. An antique rug can be one of the most exciting – and nerve-wracking – investments you can make for your home. And there’s nothing worse than when your precious rug gets stained due to a spill, an accident or a pet. You want to be ready and prepared to have your rug quickly treated and cleaned to prevent any long-term damage. Below is a carefully curated list of 8 tips from Woods Rug Laundry on how to keep your antique rug clean. It is important not to attempt to clean an antique rug by yourself. Antique rugs can have fragile fibres and dyes that can easily become damaged or unstable with the wrong treatments. Too many homeowners make the mistake of following poor advice, like hosing down a rug with a garden hose. As a result, rugs can end up damaged from home rug cleaning, shrinking due to being hosed down or suffering from dye-run. Further, cleaning a rug yourself can also result in the rug not drying out properly. This leads to rot and mould – an irreparable condition that can threaten the health of your family and yourself, too. Further, having rugs cleaned at home by so-called professional home cleaners, is also dangerous for antique rugs. Home rug cleaning does not provide the facilities for properly rinsing and drying your rug to remove moisture. When a rug is professionally cleaned, a rug can be appropriately dried to prevent a build up of water or soap being trapped in the fibres. A build up of soap and water or moisture within the fibres can cause more damage than the original stain. Not only can this lead to mould and rot, but it can also result in a lasting “wet dog” smell that permeates your home. Further, antique rugs are often made with older, unstable dyes that unskilled, home cleaners are not prepared to manage. You may end up with a streaked, stained mess across your prized rug. So what can you do when something is spilled on your antique rug? The first thing you can do is to carefully blot the excess liquid. Blotting should involve gentle tapping the liquid on your rug with a towel, cloth or piece of paper towel. However, it is important not to rub or scrub at the liquid or stain. This can not only drive the stain deeper into the fibres, it can cause damage to fragile, older rug fibres. Further, it can cause the colours to rug colours to bleed and run. When we go shopping – or watch TV – there are any number of products sold to us claiming to perform miracles on our rugs. But these off-the-shelf products can wreak havoc on any rug, let alone an antique rug. Off-the-shelf rug cleaning products are harsh, chemical compounds that are corrosive, causing damage to fibres and colours. 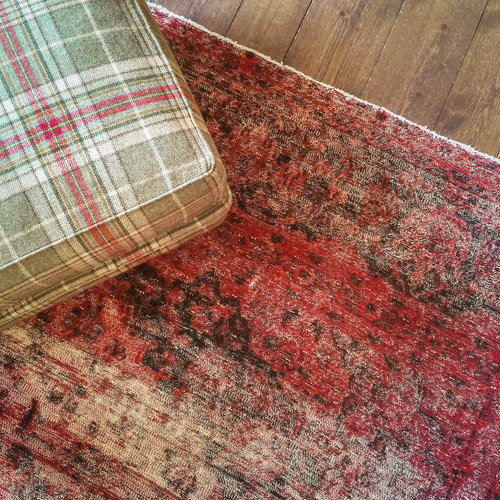 As a result, in antique rugs, this can be so damaging as to leave a rug beyond repair. It is important to never risk using off-the-shelf products on your antique rug, not even to spot clean. These chemicals can remain in the fibres long after you’ve used the product. This causes further damage and spreading through other parts of the rug. It is best to take your antique rug to a professional rug cleaner. Pets are a part of the family and, like other family members, they can cause accidents on our antique rugs as well. Treating pet stains on antique rugs can be difficult, even for experienced, professional rug cleaning. The best thing to do is quickly blot the excess liquid to stop the stain from spreading. 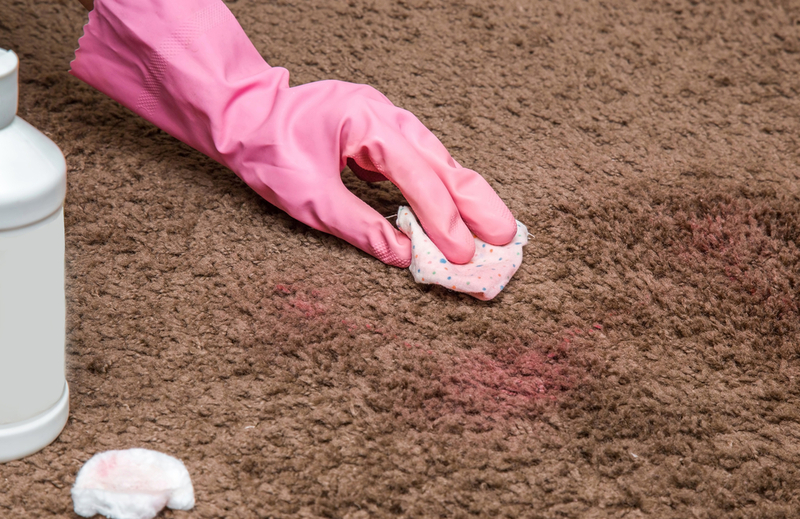 Do not scrub or rub at the stain – this can cause it to spread, resulting in more damage. Further, pet stains contain ammonia that can damage the fibres and dyes in the rug. 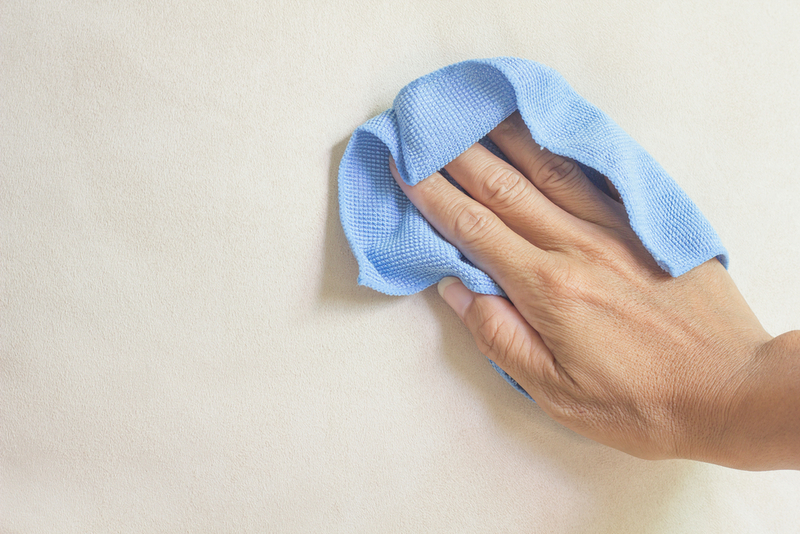 Scrubbing at these stains can damage the fibres and spread the ammonia further. Your best option is to take your rug to a professional rug cleaner as soon as possible. Depending on the severity of the stain, even a professional rug cleaner may not be able to remove the mark entirely. However, they will be able to remove the smell and lessen the stain as much as possible – something that home cleaning and off-the-shelf products cannot do. Antique rugs are so delicate, they need proper professional rug cleaning. Professional rug cleaners understand how to handle antique fabrics and fibres, and what techniques are best used to clean them. This includes testing the dyes for stability. Many older rugs may use vegetable dyes and similar that cannot stand up to rigorous, modern washing techniques. Professional cleaners can assess the state of your rug and whether it can be cleaned or if it is safe to clean. They can also spot test your rug to check the stability of the dye and how well it will respond to cleaning. 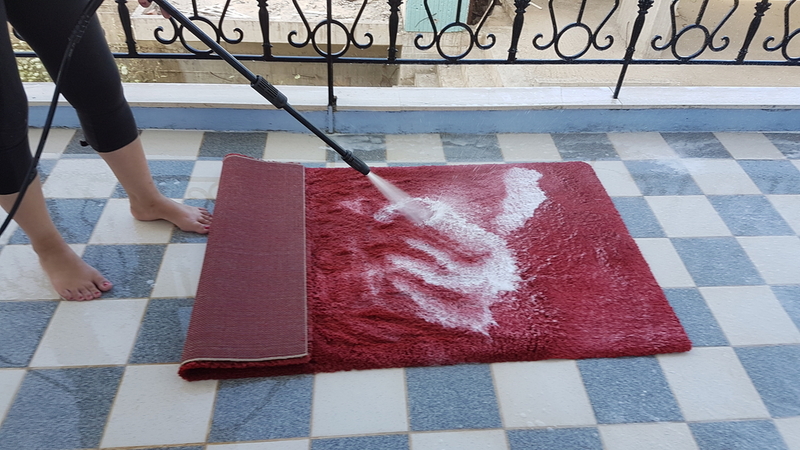 Further, professional rug cleaning technicians have specialised machines that carefully wring all the excess moisture out of your antique rug without causing damage. They also have drying rooms that allow rugs to fully dry before they are returned to you. Not only does this mean no wet dog smell through your home, but it also means you do not have to worry about the risk of mould or dry rot. Finally, professional cleaners, like Woods Rug Laundry, use environmentally safe cleaning products that don’t cause damage to your rug or the environment. Aside from having your rugs professionally cleaned, there are easy ways to keep your rugs looking clean and neat. Firstly, you can rotate your antique rug frequently to ensure your rug doesn’t form any wear or tread patterns. This also prevents your rug from forming any wear patterns from heavy furniture sitting on it for long periods of time. Secondly, keeping your antique rug out of high traffic areas like hallways, entryways, or children’s rooms. High traffic areas can increase the likelihood of your rug forming tread patterns and getting worn down. Further, dirt tracked across your rug by shoes can actually grate down on the fibres in your rug, causing further damage, like sandpaper. Finally, rotating your rug prevents it from fading in patches where only portions of the rug are exposed to the sunlight. Rotating your rug means that your antique rug is never exposed to light for too long in one place, preventing fading and increasing the life of your rug. Finally, one of the biggest problems facing antique rugs is that of moth damage. 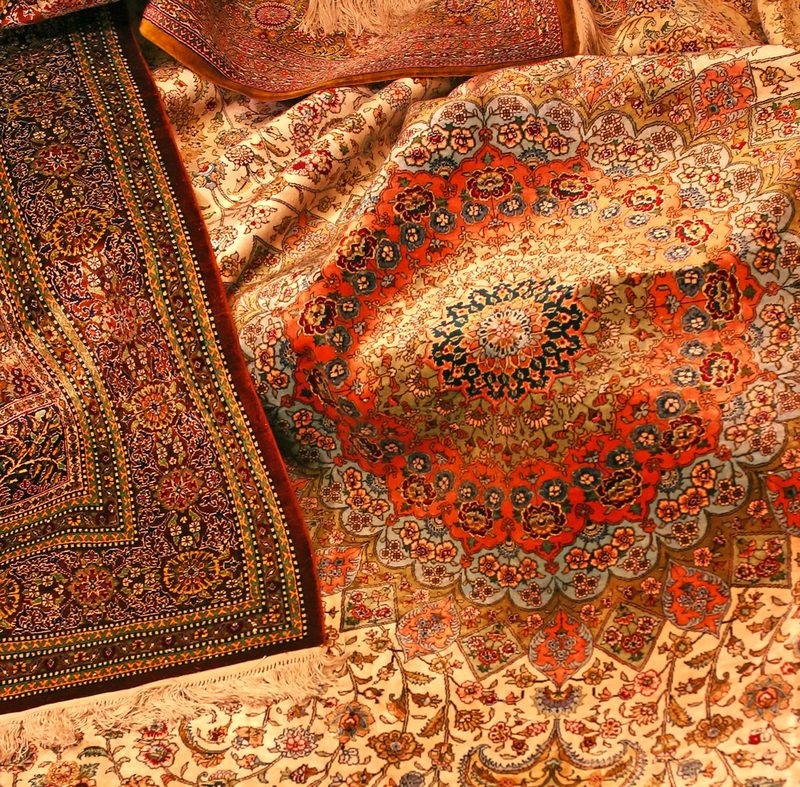 Moths enjoy burrowing into natural fibres, which are the basis of most antique rugs. Moths enjoy warm, dark fibres where they can eat and lay their eggs. Antique rugs that are left wrapped up or placed for long times in sunlight, can be the perfect breeding ground for moths. And as these moths eat away at the fibres and backing of a rug they can leave large holes in your precious antique rugs. 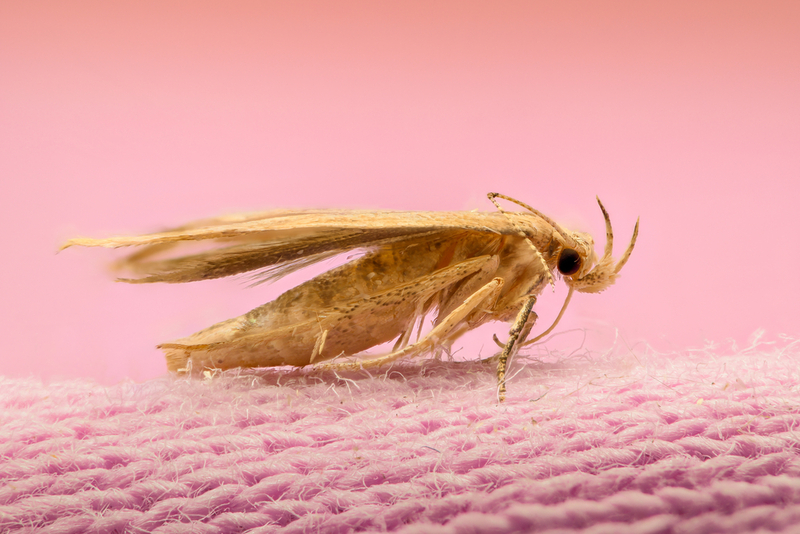 Further, some moth damage can even detach fringe or cause parts of the rug to separate or crack and disintegrate. Finally, the moth leavings can cause allergies and respiratory issues for your family members. Having your rug frequently, professionally cleaned and checked for moth infestation is important in maintaining its life. 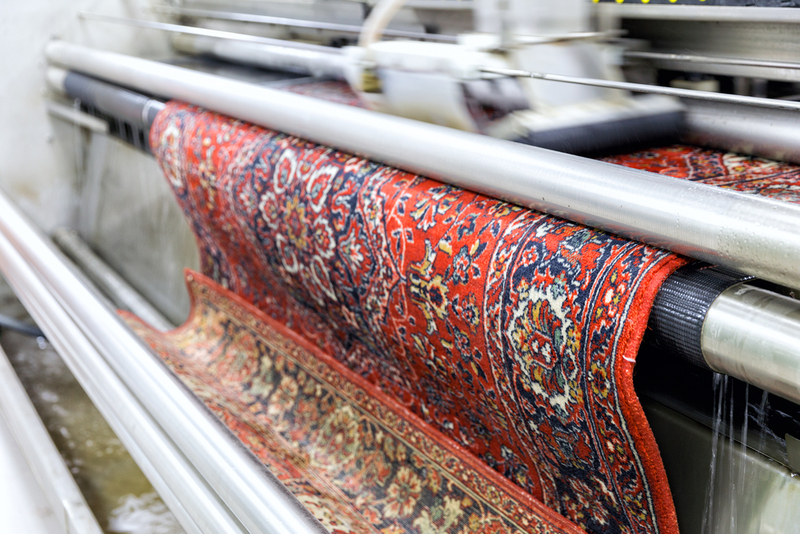 If you need your antique rug cleaned or inspected, contact the team at Woods Rug Laundry today!